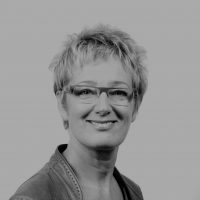 Evelyne Huytebroeck is a member of the Brussels Parliament and local councillor in the Brussels commune of Forest since 2012. She is a committee member of the European Green Party. She was regional minister of environment, energy, city renovation and social affairs in the Brussels Parliament between 2004 and 2014. ‘Bruxelles Pas belle’ ou ‘Bruxelles Re-Belle’ ?